After a year and a half of no posts, I'm back with a new blog series about doing data science on a chromebook. Recently, I decided to up my coding skills by working on some programming side projects. Unfortunately, my personal computer is a Windows laptop, which is terrible for programming. 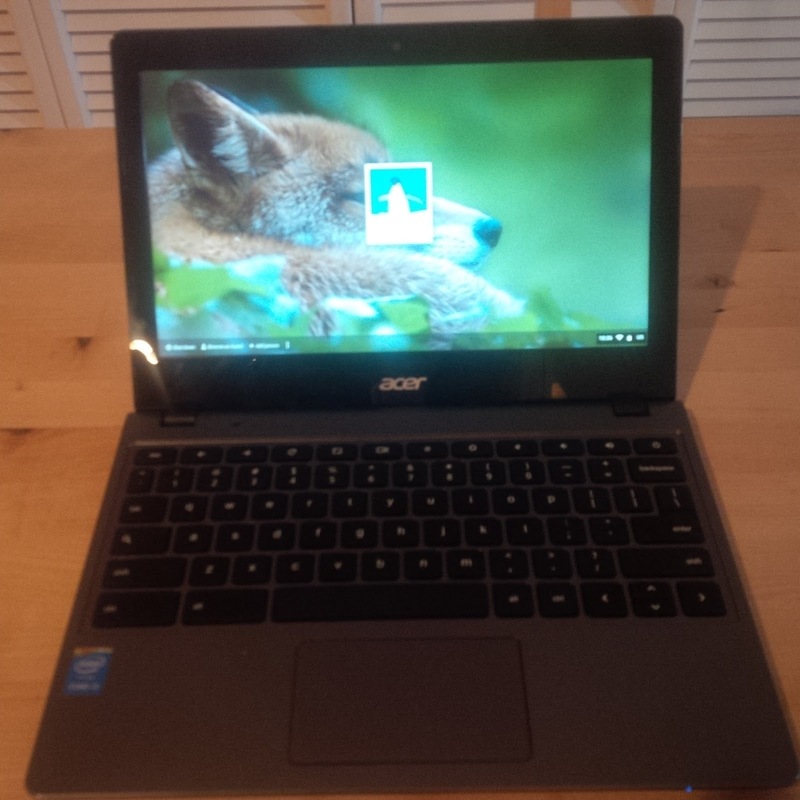 During Amazon Prime Days, I purchased a Chromebook with the intention of putting Linux on it. 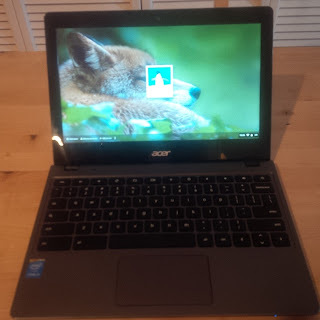 The model I purchased was the Acer C720-3871 (Amazon).This one has 2GB of RAM, an Intel processor, and 32 Gb of solid state storage. Stickers so you know I'm a real programmer. For loading Linux, I followed this tutorial from LifeHacker and used Crouton. I chose to load xfce4 on top of ubuntu. This version is pretty light weight so it might not work for everyone. I'm only planning on using the chromebook for programming so I didn't care about having a pretty interface or graphics. 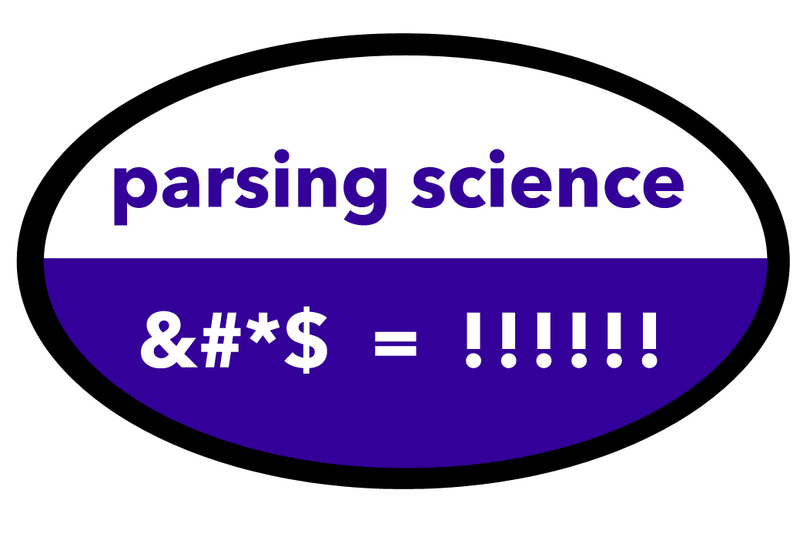 Since I'm a scientist, I'm sticking with Python 2.7 right now. 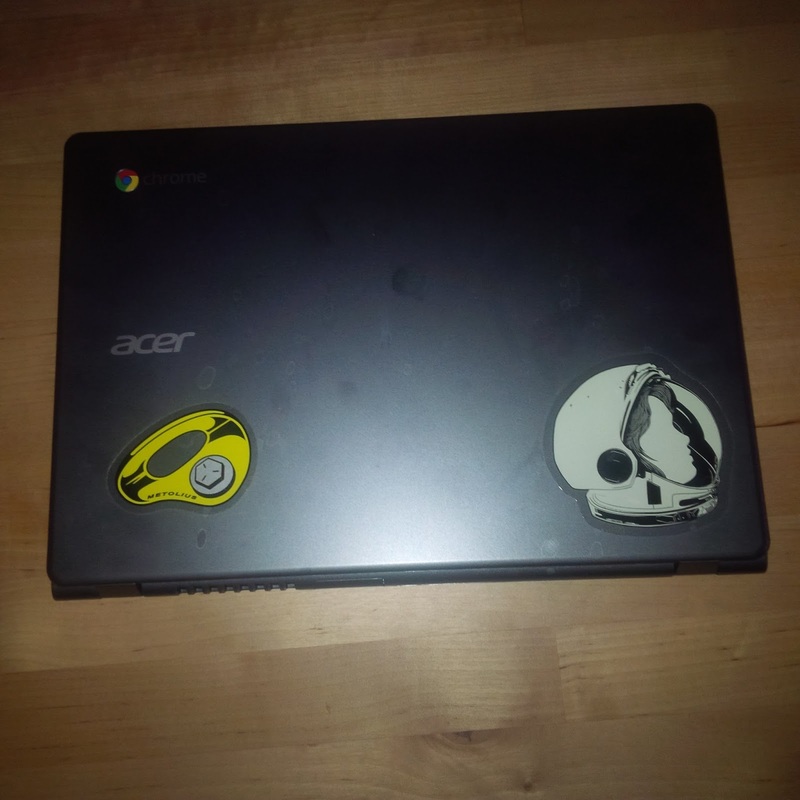 So far, the chromebook has been good enough for me. There are times when the laptop feels slow to respond, but I'm not sure yet whether that's a result of only having 2 GB of RAM or me not remembering how to use Linux. More on installation issues next time.